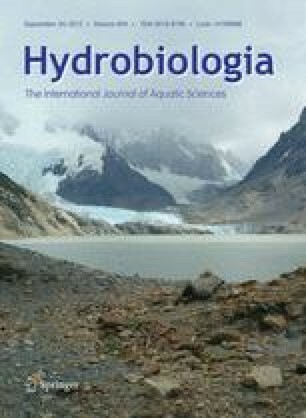 A variety of indices targeting a number of different biological assemblages have been developed to assess aquatic ecosystem condition, identify the drivers of alteration and provide information on possible restoration measures. Fish-based indices, commonly focused on adult assemblages, are capable of indicating declines in condition, but often provide limited information on the ultimate causes for the observed changes. Using young-of-the-year (YOY) fish assemblages has been suggested as a means of improving the sensitivity of fish-based indicators. To verify this assumption, we first model, using boosted regression trees, the occurrence of 16 YOY fish species as a function of twenty two environmental factors in 227 reference (i.e., least disturbed) habitats located in the river Seine (France) and its two main tributaries (i.e., Oise and Marne rivers). We then validate the species models using an independent dataset of 74 reference habitats. Finally, using three independent data sets reflecting different categories of disturbances (i.e., physico-chemical disturbances, physical disturbances induced by navigation and a mix of both disturbances), we measure the deviation between expected and observed species occurrences to evaluate our species models ability in detecting these disturbances. The models are ecologically meaningful and overall perform well in discriminating between reference and disturbed habitats, showing a stable response for all unimpaired habitats and highlighting the main habitat disturbances tested. This work was supported by the “National Association for Research and Technology” (ANRT), the “Hydrosphere Company (CIFRE Contract No. 383/2008), and “Voies Navigables de France” (VNF). We greatly acknowledge helpful comments made by N. Bond and three anonymous referees on a previous version of this manuscript. We thank all hydrosphere Company’s employees for their very helpful participation during fishing campaigns and especially Pascal Michel (Hydrosphere director), the project designer. We also thank Fabien Leprieur for statistical advices. Huckstorf, V., W. C. Lewin & C. Mehner, 2010. Impoverishment of YOY-fish assemblages by intense commercial navigation in a large Lowland river. River Research and Applications. doi: 10.1002/rra.1420.